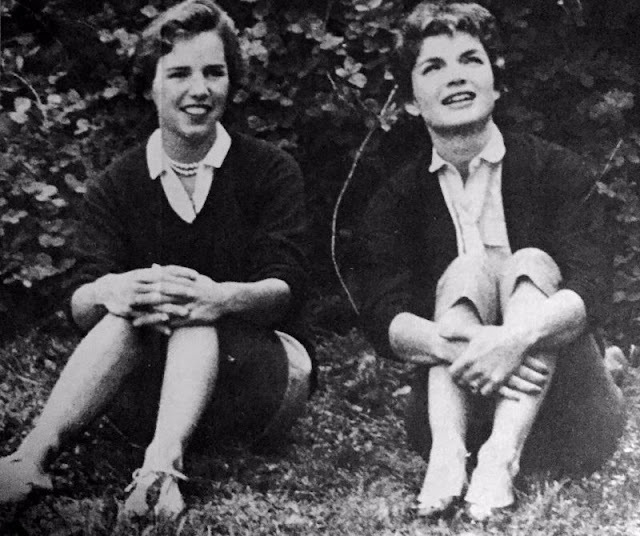 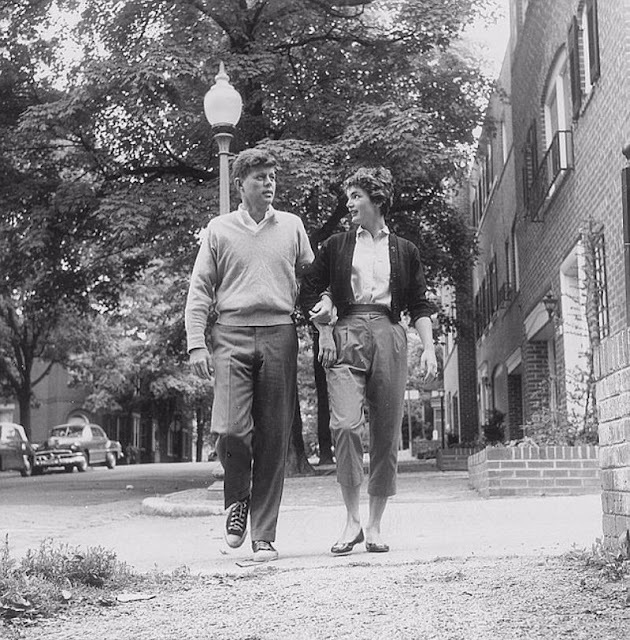 August 13, 2017 1950s, celebrity & famous people, dating & love, fashion & clothing, life & culture, portraits, Washington D.C. 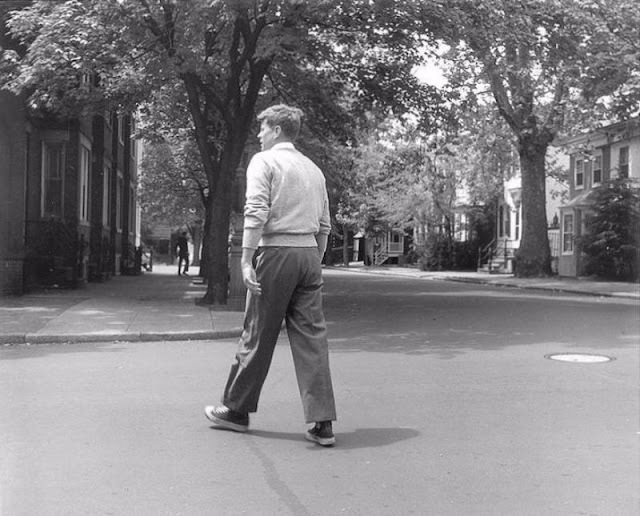 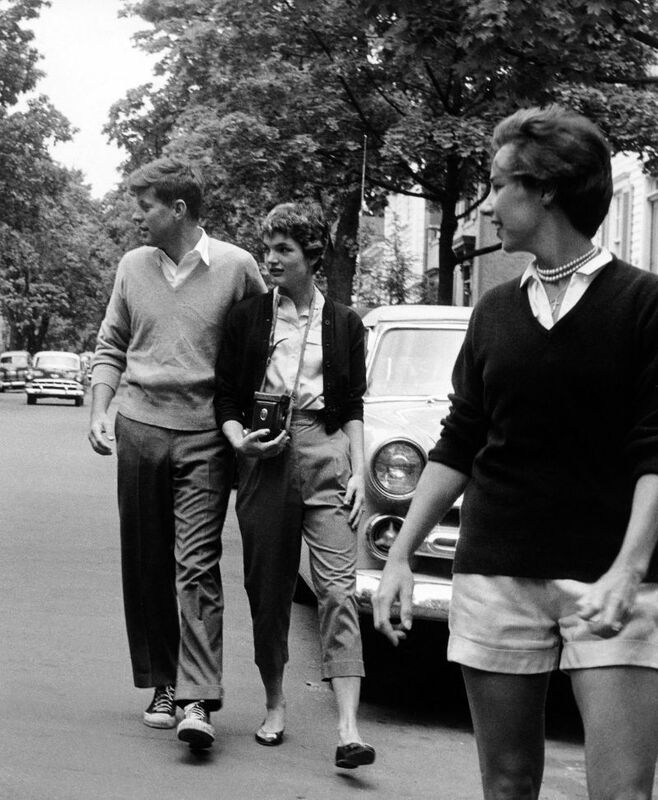 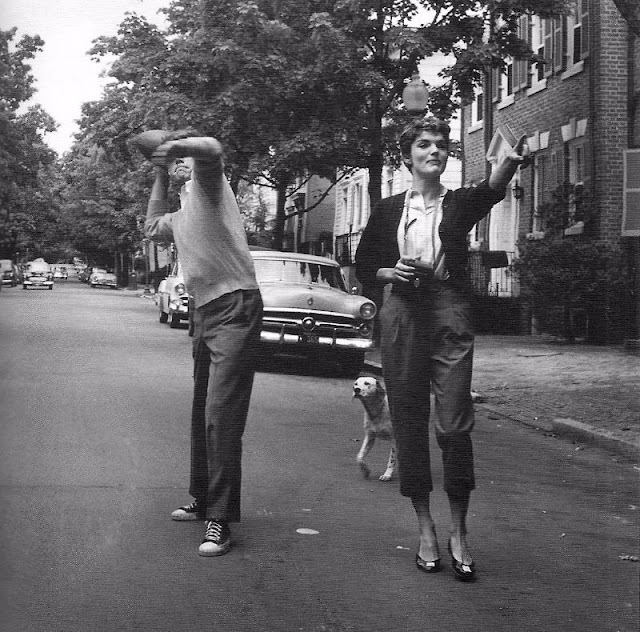 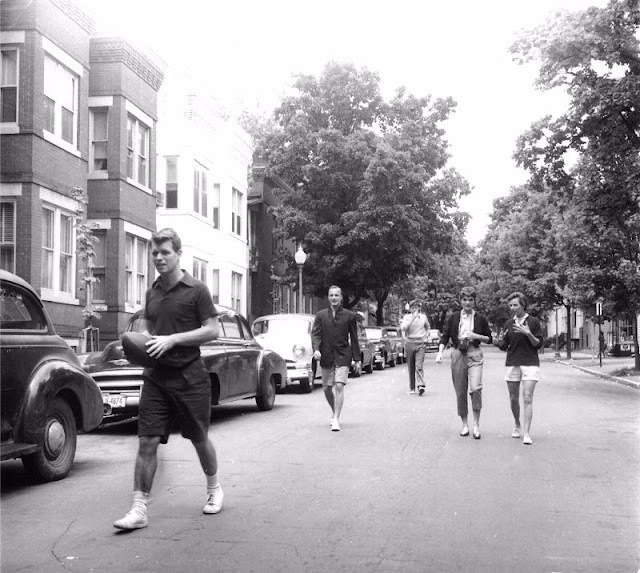 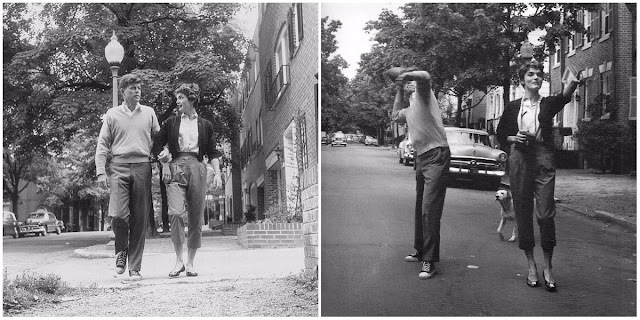 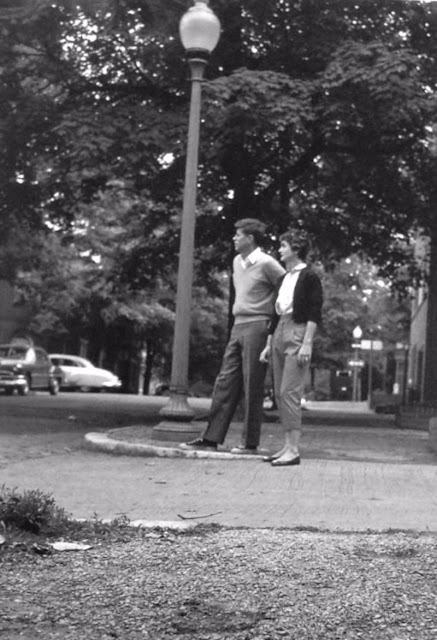 In May 1954, Orlando Suero photographed Jack and Jackie Kennedy walking in Georgetown to meet brother Bobby and his wife, Ethel, to toss around a football. 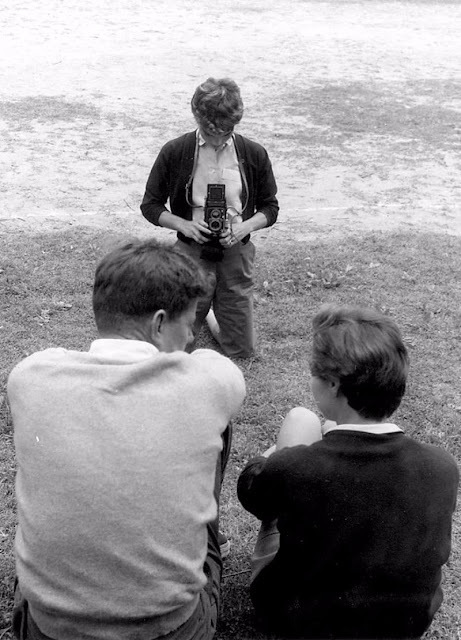 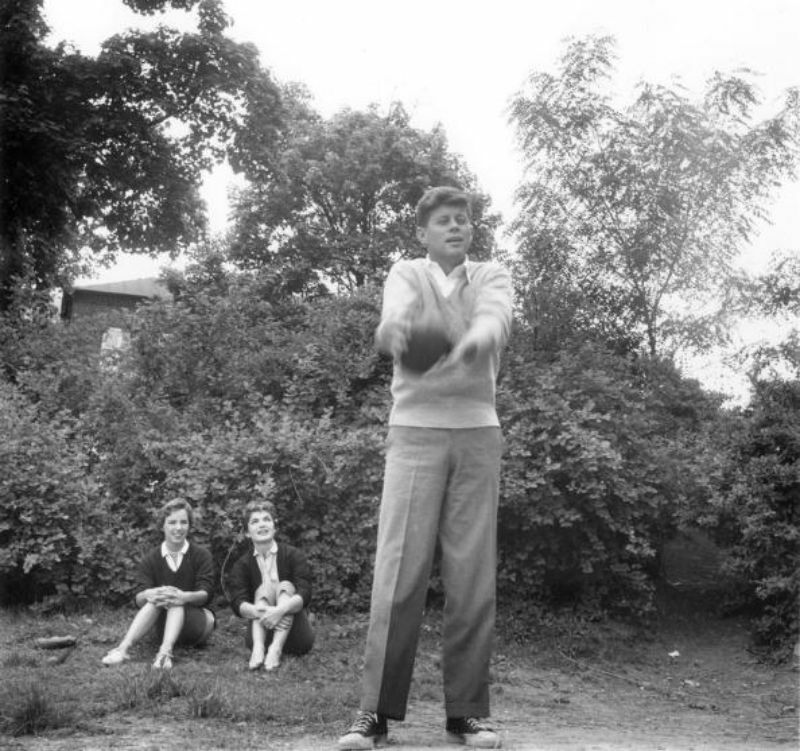 At the time, John F. Kennedy was a young senator from Massachusetts establishing himself as one to watch. 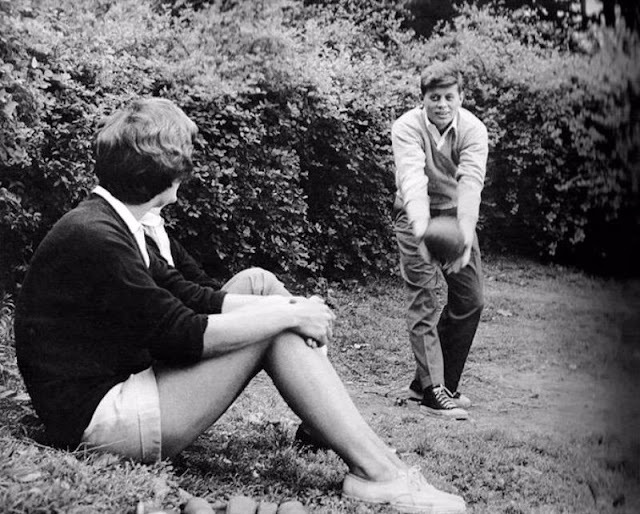 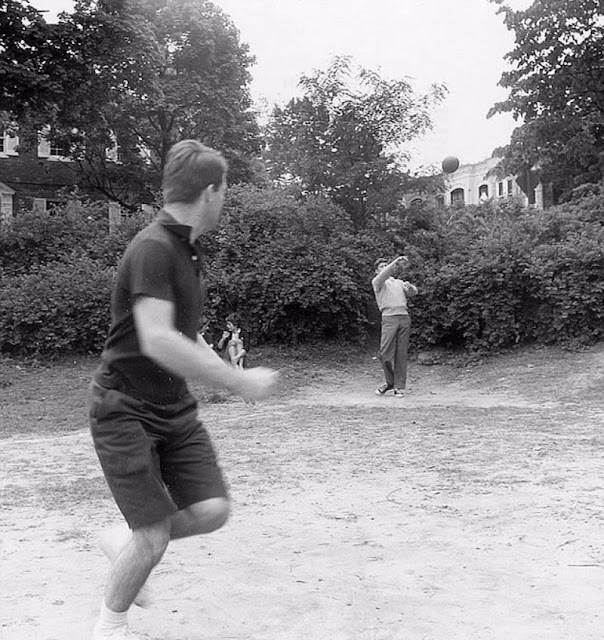 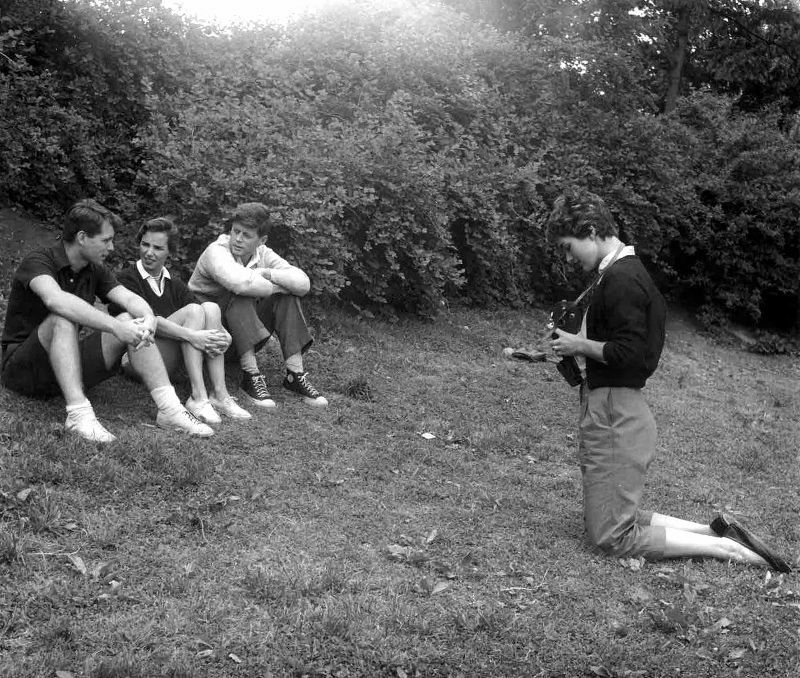 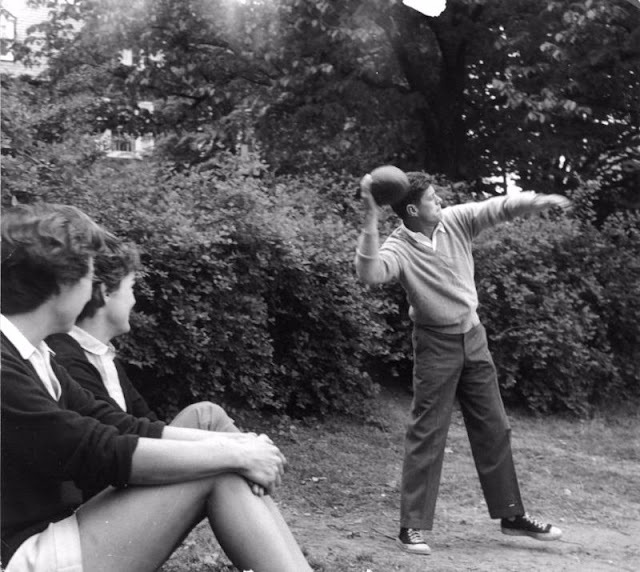 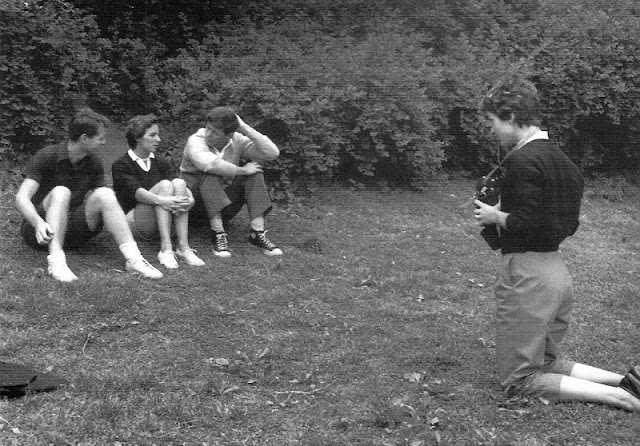 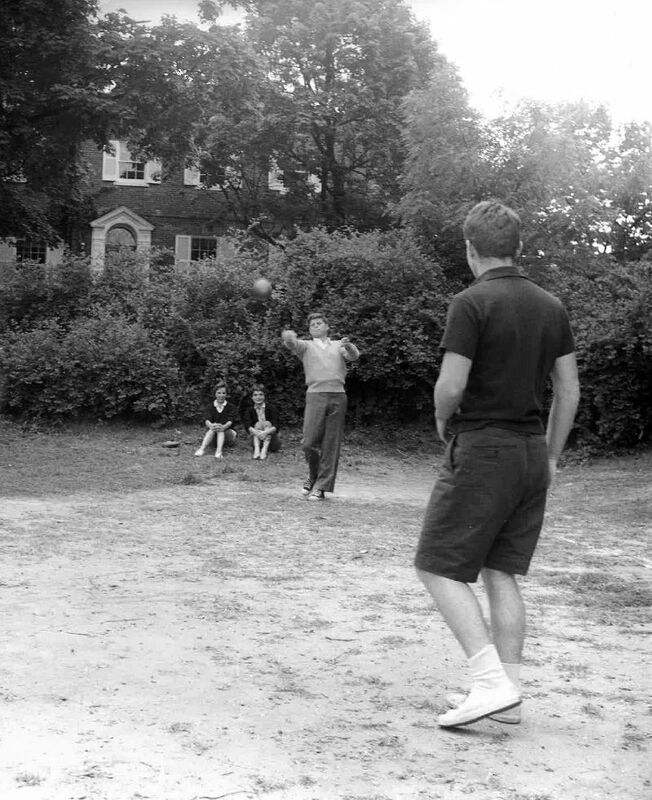 Jack throws a football with his brother Robert while his wife Jackie and Bobby's wife Ethel look on.